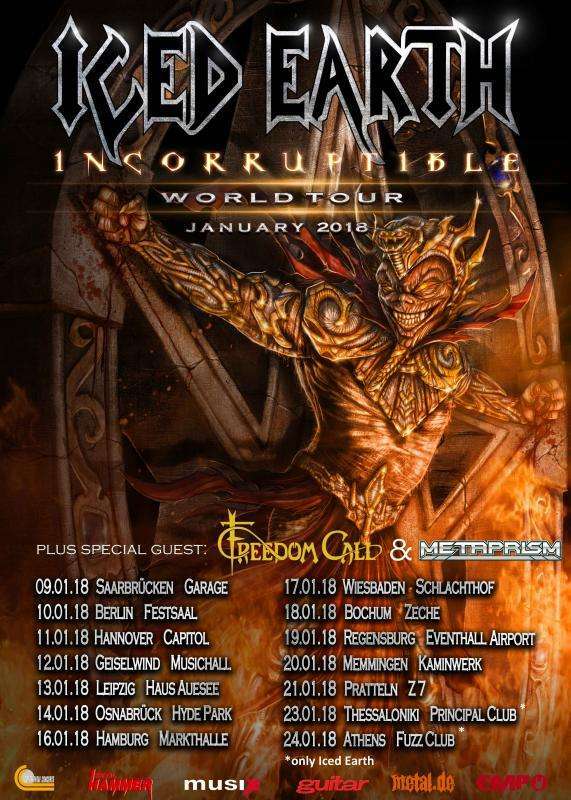 US metal legend ICED EARTH return to Europe for the “Incorruptible” world tour in January, supported by Freedom Call Official​ and METAPRISM​. Backed up by their brand new studio album “Incorruptible”, which received raving reviews everywhere (album of the months in Rock Hard​, Aardschok​ and Rock It! Magazine​, soundcheck #2 in Metal Hammer​, soundcheck #3 in Legacy - The Voice From The Dark Side​ etc. ), ICED EARTH will once more solidify their reputation of being one of the most honest and most reliable live bands on this planet.